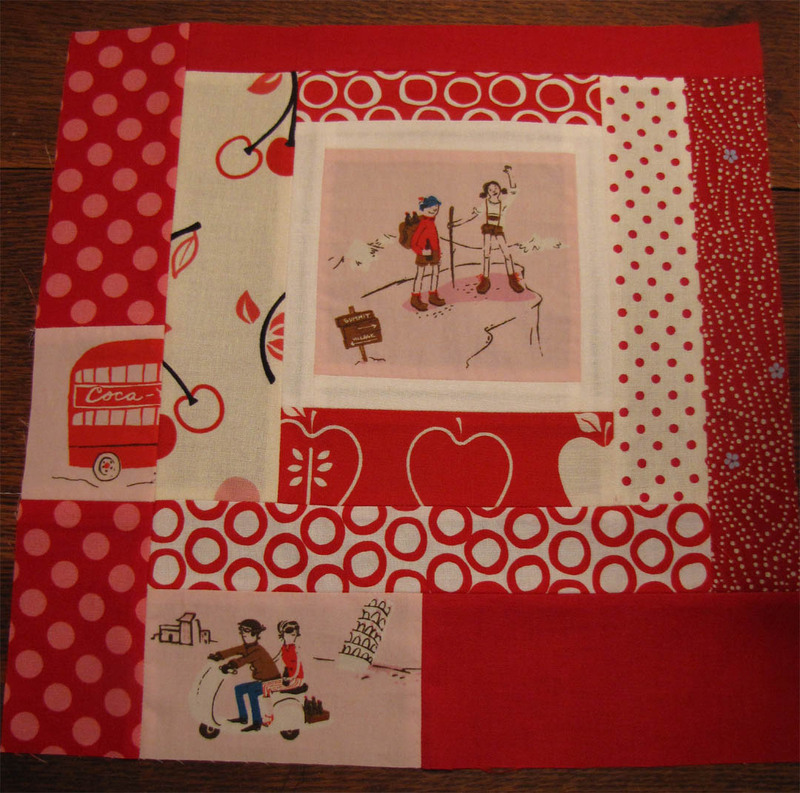 This week I joined a group to help make a quilt for an expectant Miss. Parameters were using some Heather Ross fabric and I chose the color Red. I tried my hardest to make it gender neutral (we don't yet know the gender of the baby) and I think it turned out well. It is suppose to be an "improv block". Though I did plan a bit so it wasn't done entirely by the seat of my pants. I couldn't resist adding a wee bit of pink. The boys got along rather well this afternoon and I was able to sneak in this bit of sewing!